The Fishing Tackle Superstore… a new larger store! Stop in for live bait, free advice, and a huge selection of all types of fishing tackle. 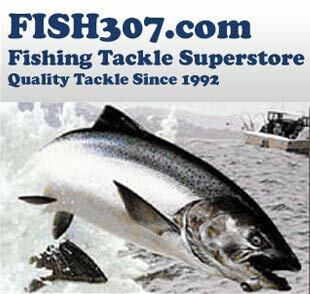 The Fish307.com Superstore will help prepare you for all your fishing needs including fishing rods, reels, lures, line, tackle, downriggers, electronics, accessories, and apparel. Whether you’re looking for the top of the line or the budget friendly fishing tackle, you will find it all here at Fish307.com! Fly Casting and Fly Tying lessons are also available through the Superstore, as well as New York State Fishing Licenses. Lake George Superstore & Online Store: stop in and look around at the ever changing fishing equipment inventory – located on the north end of the Factory Outlets on State Route 149 in Lake George. Also visit the extensive online store!